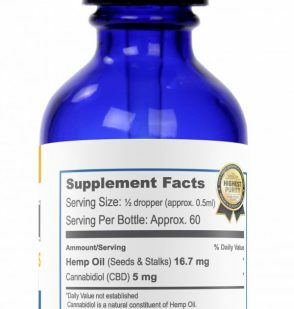 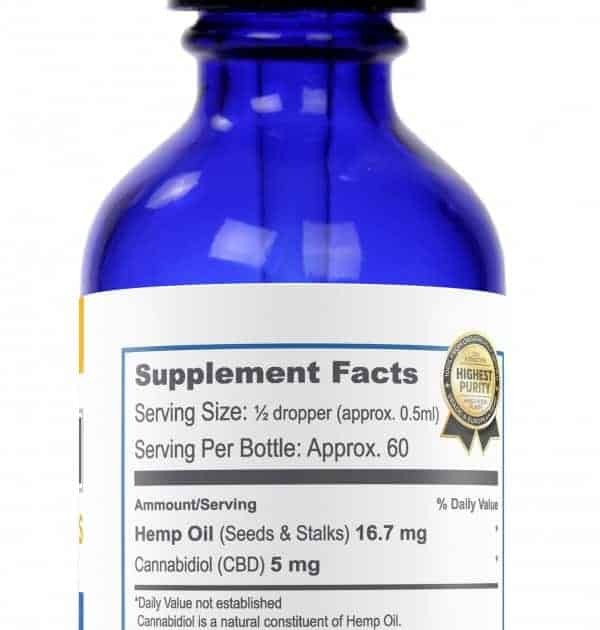 One regular flavored bottle containing 300mg of CBD liquid in MCT oil. Following the suggested serving size of 5mg there are about 60 servings per bottle of drops. 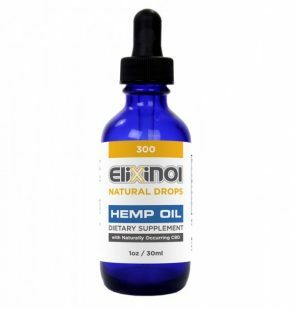 If taken two times a day as recommended this product will last you 30 days. 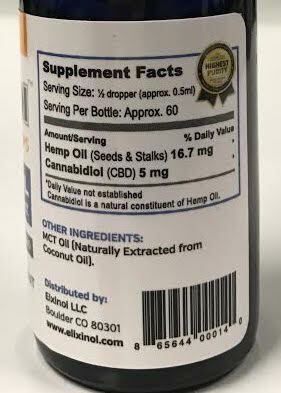 Ingredients: Hemp oil, MCT oil.